They had the start, but not the finish. 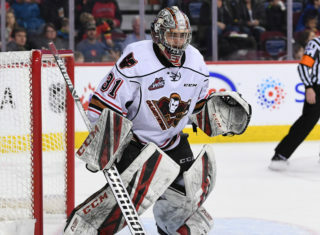 To wrap up the three-in-three weekend the Hitmen dropped a 6-5 overtime decision to the Red Deer Rebels Sunday afternoon at the Scotiabank Saddledome. 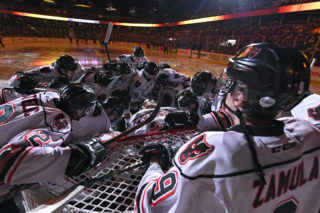 Despite holding a 5-3 lead late in the third, penalty troubles would cost the Hitmen as the Rebels were able to complete the comeback and end the game just 31 seconds into overtime. Mark Kastelic scored a pair of goals as Josh Prokop, Zach Huber, and Carson Focht also found the back of the net. Carl Stankwoski made 24 saves in the loss. For Red Deer, both Jeff de Wit and Reese Johnson scored twice while Brandon Hagel added a single marker to go along with two assists. Import Oleg Zaytsev scored the overtime winner and Etan Anders made 44 saves. 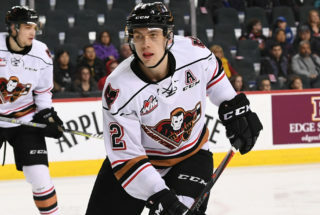 The Hitmen jumped to a fast start, outshooting the Rebels 17-7 after the first period and thoroughly controlled the game taking a 1-0 lead into intermission. In the second stanza it was more of the same as they continued their aggressive, fast game as the clubs traded goals in the frame. 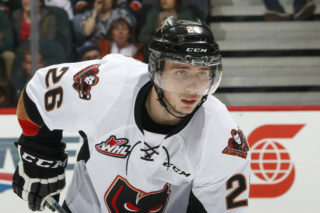 The Hitmen would carry another one-goal lead headed into the final 20 minutes up 3-2. As both Kastelic and Focht added some cushion with their markers, the dreaded two-goal lead continued to prove why it’s the worst in hockey. “We got away from our game when it mattered most,” Kastelic said. “In this league you can’t take any time off and any mistake you make is crucial. Despite being winless on the season so far, the season has just got underway and although there is a sense of urgency to get that first win, the weekend is viewed as a learning experience. “If we are going to have our struggles it’s better to have them now but we can’t let this escalate,” Hamilton said. “It comes down to small area battles and the little details that guys need to learn from. 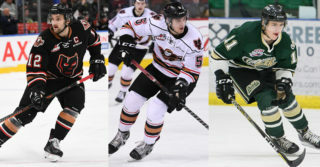 With a few days off before their next game, the Hitmen will welcome the Saskatoon Blades to the ‘Dome Friday night, and then will host the Prince Albert Raiders on Thanksgiving.